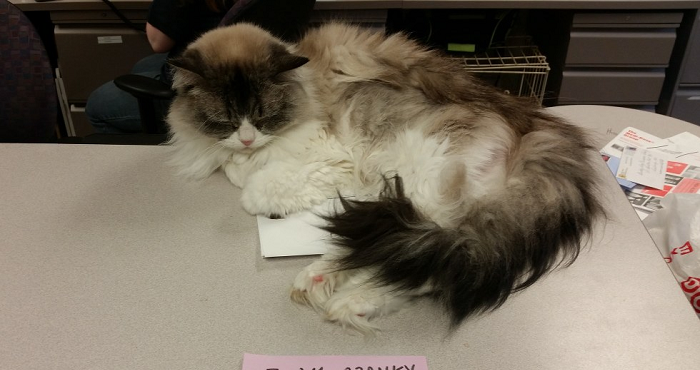 Super Cranky Cat Had A WARNING Posted Telling People To Stay Away…After Adoption? She’s Unrecognizable! The sign posted in front of Buttons’s favorite spot to lay warned everyone who saw her not to get too close. Buttons had lived at the shelter for more than a year, and after one unsuccessful adoption, they weren’t sure if she would ever find a family of her own. Buttons had been surrendered at 4 years of age when her elderly family could no longer properly care for her. The next home she went to had a dog that just would not get along. She was upset, confused, and most of all…she was lonely. She growled when anyone got close and was never in a good mood. But one couple saw potential. They realized that this kitty hadn’t given up on life, but she had given up on the shelter. All she wanted was to be free. After exploring their apartment, she was instantly satisfied! Buttons was no longer scared and cranky. 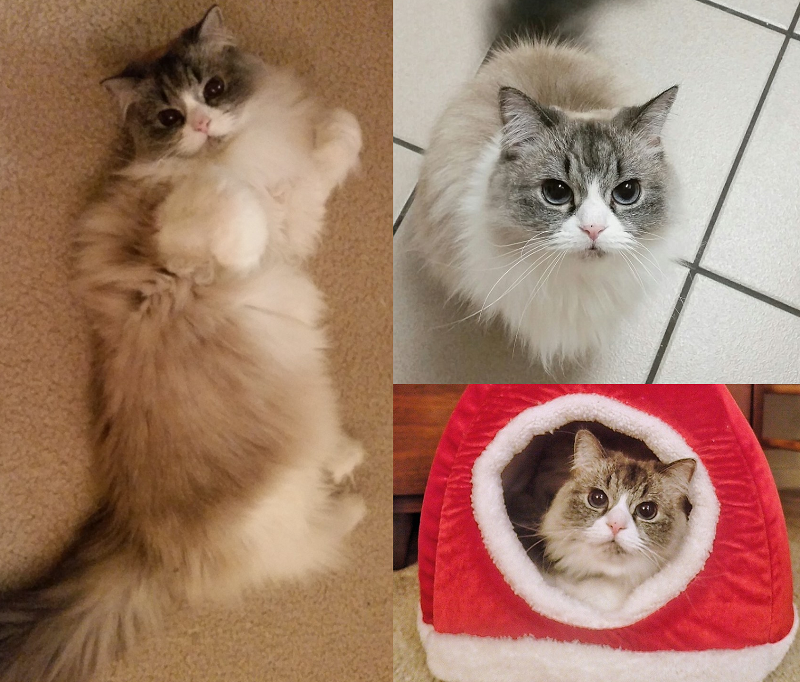 She was the star of the show in her new home and loved to be spoiled. The adorable cat didn’t even look the same after being welcomed by her new family. Buttons wasn’t like most cats, and even though she warned people away with her surly behavior, they knew that deep down, she was a good kitty after all.